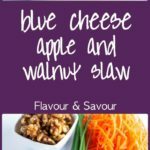 This Blue Cheese, Apple and Walnut Slaw has it all: colour, crunch, contrasting flavours and a creamy Greek yogurt dressing. Do you remember the old Waldorf Salad that your Mom used to make? Chopped apples, celery, walnuts and raisins all bound together with lots of mayonnaise, (or Miracle Whip if you came to our home!) 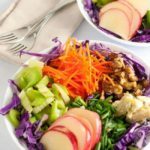 As I was making this blue cheese, apple and walnut slaw, I realized that it was similar to that old favourite that always seemed to be on the table at potluck suppers. Here’s a lightened-up version that is so much better, and much healthier, too. I debated about what to call this: a salad or a slaw. 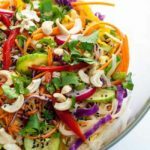 To me, a slaw implies that the ingredients have been shredded or very finely cut. 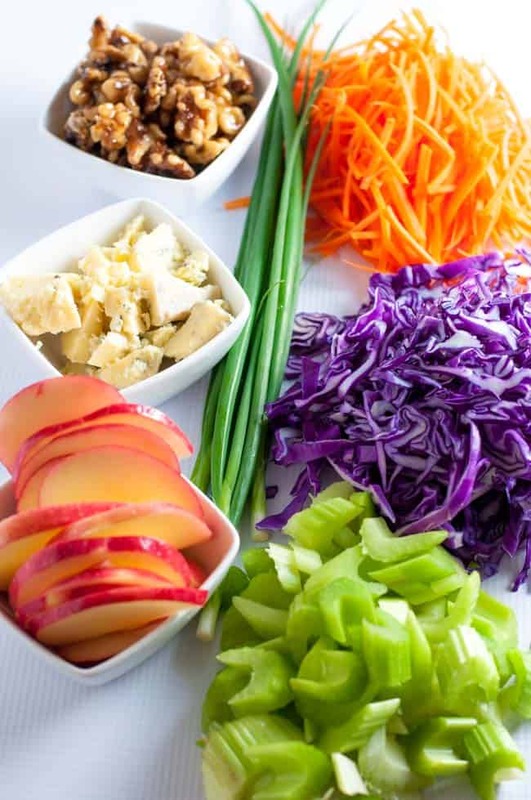 I opted to finely slice the cabbage, apples and celery, julienne-cut the carrots, and chop the green onions. 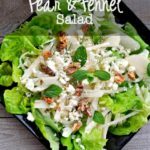 I tossed in some crumbled blue cheese and maple-glazed walnuts and decided to go with “slaw.” But call it whatever you like, as long as you make it! It’s amazingly delicious. 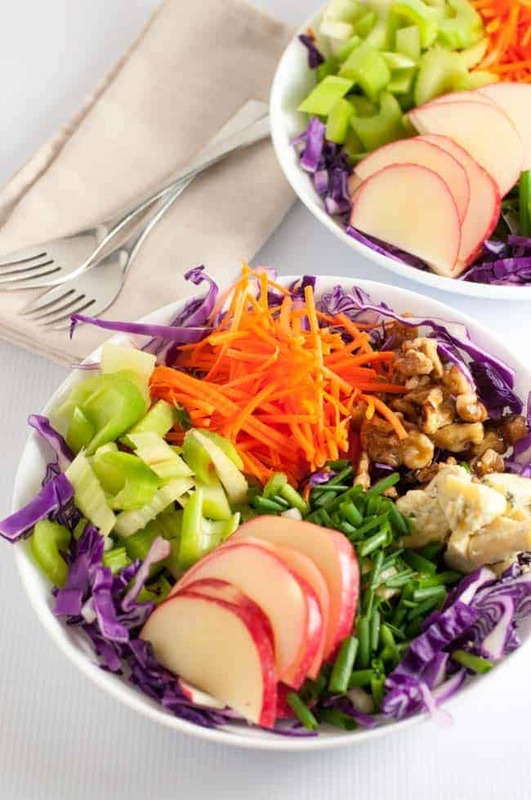 Naturally sweet apples (I used Pink Lady), maple-sweetened walnuts, sharp and salty blue cheese (I used Stilton) and lots of crunch from scallions, carrots, celery and cabbage combined to make a bowl brimming with contrasting flavours and overflowing with Vitamin C. And just look at that colour! I drizzled it with a creamy Greek yogurt dressing and served it with a grilled chicken kabobs. 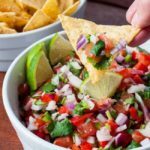 It made a completely filling and satisfying dinner to enjoy in the sunshine on the deck. Don’t you love eating outside? It makes me feel like I’m permanently on vacation, sitting in an outdoor café in Europe. We’re lucky that we’re not overly bothered by insects where we live, but I made these Natural Bug Repellent Luminaries just in case. 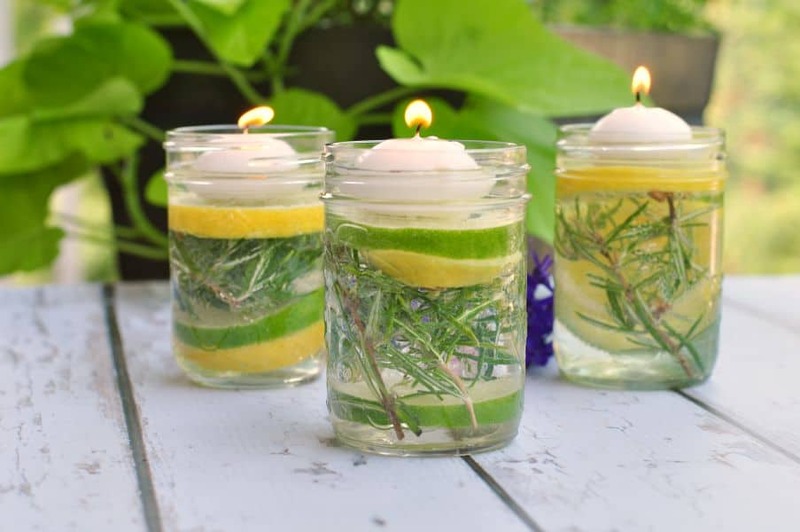 These little candle holders are easy to assemble using essential oils, fresh herbs and sliced lemons and limes, and they seem to add a touch of magic to an outdoor dinner table. Find the instructions to make your own here. Cover bottom of a salad bowl with cabbage and arrange the other ingredients on top. 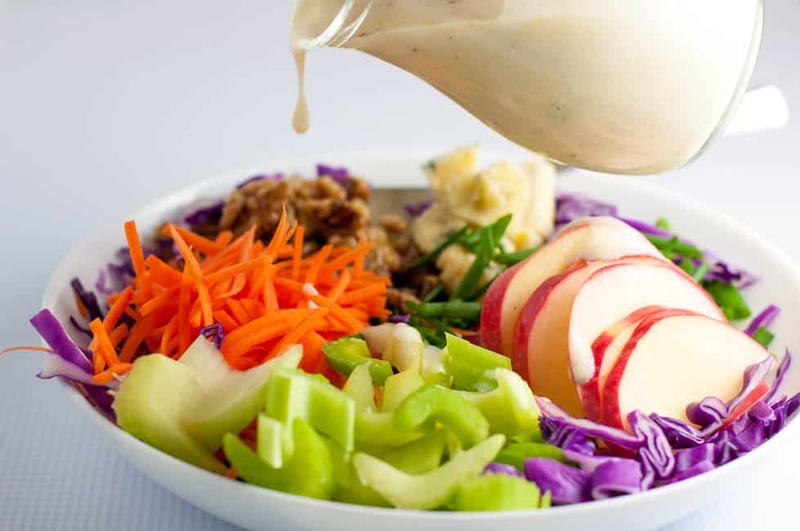 Drizzle or toss with Greek yogurt dressing just before serving. 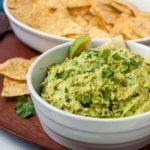 This recipe was inspired by one I found in Clean Eating Magazine.